Blogging software WordPress is now responsible for powering more than 60 million blogs that generate more than 300 million unique visitors per month. According to founder Matt Mullenweg, about half of the 60 million WordPress-powered blogs are hosted by WordPress.com which is owned and operated by Automattic. Despite the success thus far, Mullenweg believes WordPress is still in its infancy. In an interview with Mathew Ingram at the GigaOM RoadMap conference in San Francisco, the founder said the company is planning strategies around social and mobile markets that should drive growth even further in 2012. Specifically, by integrating social networking into a blog’s core, the team is seeing page views per user increase significantly. On the mobile front, WordPress has seen access grow by seven times in the past year. Between 4 to 5 million users log into WordPress’ mobile platform every day. The forward-looking company claims they aren’t adding new features to compete with other blogging platforms, however. To them, it’s all about their users and providing the best possible service available. Mullenweg says that 92 percent of clients are using WordPress as a content management system in addition to a blog. 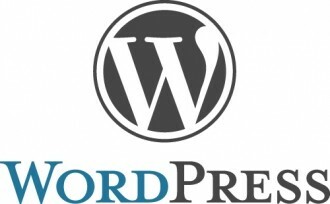 WordPress if a free and open source blogging software and content management system that was introduced in May 2003. Automattic has remained relatively small since then, with only 100 employees and no central office. In fact, most of the company’s staff is scattered across the globe. Mullenweg doesn’t believe that geographic location should deter someone from getting a job they are qualified for.